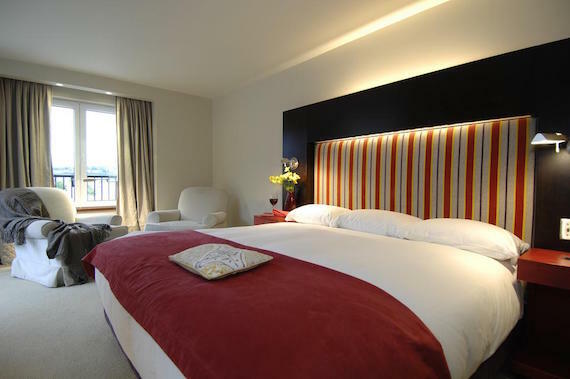 Whether you're jetting off to cosmopolitan Toronto, sightseeing in Old Montreal or stealing away to the secluded wilderness of Vancouver Island, you'll find Canada has no shortage of stellar hotels to aid your exploration. To help narrow down your lodging search, U.S. News used a comprehensive methodology that factors in star ratings, industry accolades, expert endorsements and visitor reviews. 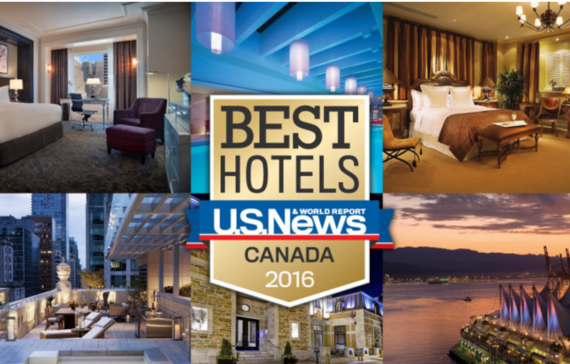 Overall, U.S. News evaluated 210 Canadian hotels. Here are the 10 properties that wowed hotel connoisseurs and travelers alike thanks to their unique amenities and top-notch service. 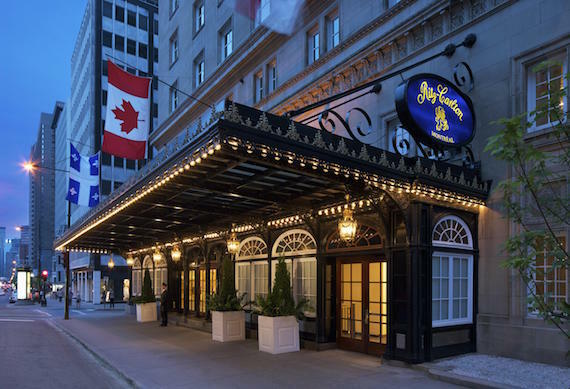 A fixture on the top 10 list for four consecutive years, the Hotel Le St-James wins favor with visitors (it's a TripAdvisor Travelers' Choice award winner and appears on the Condé Nast Readers' Choice list) and travel publications thanks to its one-of-a-kind setting. Occupying the former Merchants' Bank building in Old Montreal, the hotel effortlessly blends its grand heritage with contemporary comforts. 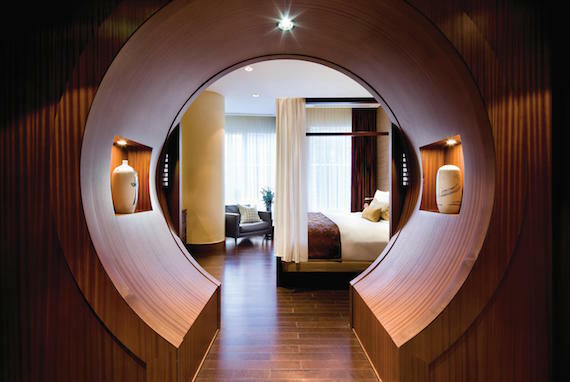 One of only two Shangri-La hotels in Canada, this Toronto outpost (a AAA Five Diamond recipient) boasts some of the largest guest rooms in the country. When lodgers aren't admiring their digs, they can sample the fusion of Asian and Canadian cuisine at the acclaimed on-site restaurant, Bosk. The Fairmont Pacific Rim's location is pretty tough to beat - and it's also a major point of praise for recent visitors whose votes helped the hotel earn top marks on the Condé Nast Readers' Choice list and the TripAdvisor Travelers' Choice awards. 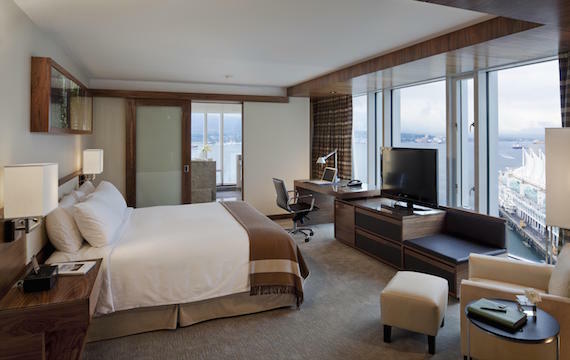 Situated on the Coal Harbour waterfront, across the street from the city's cruise ship terminal, the property affords amazing views from its rooms and rooftop. 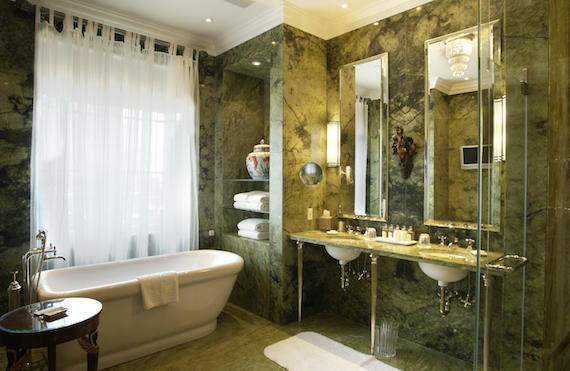 Both history buffs and luxury lovers will likely enjoy a stay at the Auberge Saint-Antoine. Amid the hotel's modern accoutrements, guests will find hundreds of artifacts dating back to the 1600s that were unearthed during an archeological dig before the hotel's construction. 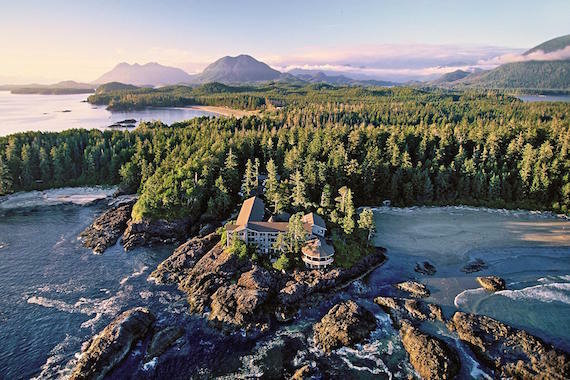 Sitting pretty on Vancouver Island's west coast, surrounded by the Pacific Ocean on three sides, this Relais & Châteaux property is certainly a sight to see. Ocean and beach views come standard in each of the inn's 75 rooms, as do gas fireplaces and soaking tubs, making it easy to see why the Wickaninnish earns praise from Condé Nast Traveler, Travel + Leisure and AAA. Moving up five spots from its No. 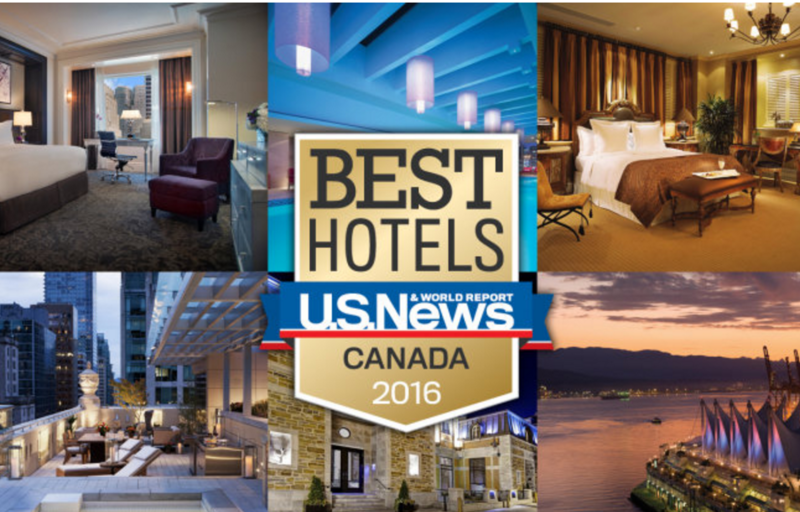 10 ranking in 2015, The Ritz-Carlton, Toronto continues to wow guests and critics - this is the property's fourth consecutive year appearing in the top 10 on the Best Hotels in Canada ranking. Among its superlatives, The Ritz-Carlton, Toronto boasts some of the largest guest rooms in the city, more than 400 pieces of original Canadian art and a cheese cave in its on-site Italian restaurant, TOCA. Considered a legend among Vancouver's hospitality sphere, the Rosewood Hotel Georgia once played host to the likes of Katharine Hepburn, Elvis Presley and Bing Crosby. Though the property underwent a full renovation in 2011 when it joined the Rosewood brand, remnants of the hotel's glamorous past still peek through in its luxurious accommodations, Roaring '20s-themed bar and attentive staff members, who travelers say treat everyone like Hollywood royalty. Dethroned by the Four Season Hotel Toronto, this Trump outpost once reigned supreme as the top hotel in Toronto. Though it may no longer hold that title, the Trump International Hotel and Tower Toronto continues to rack up accolades, including the prestigious AAA Five Diamond and Forbes Travel Guide Five Star awards. And with rooms that range from 550 to 4,000 square feet and a committed staff to match, it's easy to see why this 65-foot tower remains near the top of the Toronto hospitality food chain. Climbing up the ranks from its No. 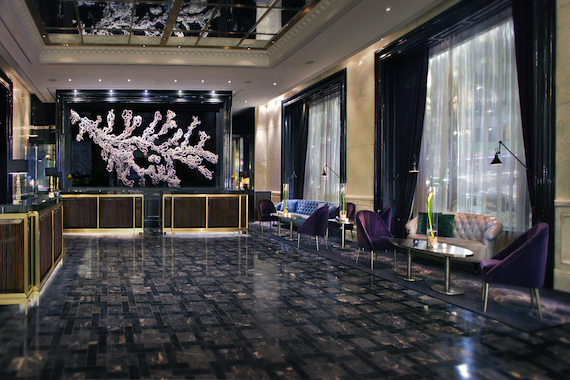 6 spot in 2015, the Four Seasons Hotel Toronto is a force to be reckoned with. Not only did it earn a spot on the Travel + Leisure World's Best Awards list, but it also received AAA Five Diamond and Forbes Travel Guide Five Star awards. Maybe it's the skyline views on display from each room's floor-to-ceiling windows, or maybe it's the tasty cuisine at Michelin-starred chef and owner Daniel Boulud's Café Boulud. The Ritz-Carlton, Montreal is the Best Hotel in Canada for the third consecutive year. Not only does this Ritz-Carlton earn top honors with guests (it's a Condé Nast Readers' Choice and TripAdvisor Travelers' Choice award recipient), but it also receives recognition from AAA and Forbes. 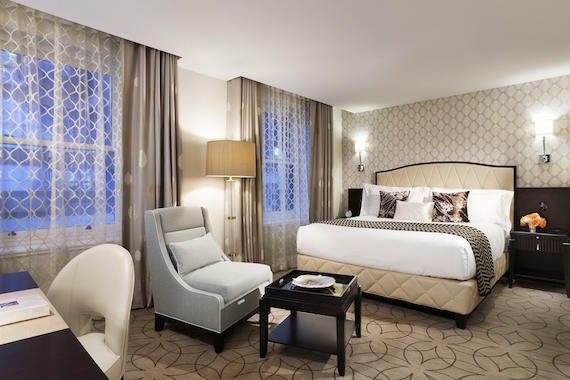 Sitting in downtown Montreal, the property boasts impeccably styled guest rooms, not to mention a French restaurant from celebrity chef Daniel Boulud. Ann Rivall is a Travel Editor at U.S. News. You can circle her on Google+ or email her at arivall@usnews.com.